Having a company car can be a massive deal to you, the employer, as well as your employees. It can be an additional perk to working for you, helping to improve employee morale, but as the employer, having a company car can also help promote your business’s image. While it does not mean you should go above your budget, there are ways to finance a luxurious car that is sure to help promote your business. To help you choose the best model for your company and get the best finance options, read the following guide for advice on the matter. When you buy any vehicle, it should always be because it will accomplish the jobs you need it to do, and not because you like the brand or have always dreamed of driving that specific model. If you don’t choose the model of your vehicle based on need, you are only boxing yourself in the future. With company cars especially, you want the vehicle to perform how you need them to for as long as possible. This means if you need towing power, it is best to choose a strong model, whereas if you need a lot of storage space, choose a flatbed truck, and so on. When you buy one or two company vehicles (that aren’t large transportation trucks), you can save a lot of money by buying a slightly used model. Remember, your car will lose half its value when you drive it out of the plot or dealership. Regarding used cars, so long as the vehicle is certified you can enjoy much lower costs on vehicles that are fairly recent, just because people often trade in their current vehicle for a newer model. To save on new vehicles, all you need to do is choose the model that is one or two years old. Dealerships often want to get these models off their lots as soon as possible, and if you go during a sale or at the end of a fiscal quarter, you can likely save a lot of money and enjoy the full warranty of that new car. If you do have an older vehicle, it is often best to trade up. One of the key benefits of new vehicles is how efficient they are with their fuel. By doing this you can not only have a newer, better performing vehicle, but you can also save a lot on daily operating costs. When your company requires a vehicle to the point where owning one is paramount, it is best to reduce its operating costs as much as possible. Financing is what will end up haunting you if you aren’t careful. Sure, you could get a vehicle for a very small down payment, but you will end up paying far more in monthly repayments. For businesses, this can be incredibly risky. Unless you are growing comfortably, even one bad month can mean these fixed costs hit you. That is why you owe it to yourself and your company to find the best auto financing options out there, and to do that you need to know the basics, like what the principle of the loan is, what APR is, and so on. Learn how to negotiate, and always be prepared to walk away. You need a good deal to make trading a vehicle up worthwhile, and when you are just starting out as a company, it can often be your only option. Getting the best deal for your money is something we all strive for, particularly when looking for insurance. As a taxi driver, you probably encounter many claim-worthy situations in your day-to-day but, at the same time, you may never actually need to make a claim on your insurance. This presents a worry when it comes to both over-insurance. Having said that, it will pay in the long run to have comprehensive cover and protects you against a wide range of possibilities, from accidents and damage to your vehicle, to injuries suffered by both yourself as a driver and your passengers or pedestrians. When searching for a quote or trying to find a cheaper premium for your taxi insurance, you need to think of all the steps you can take to reduce costs. 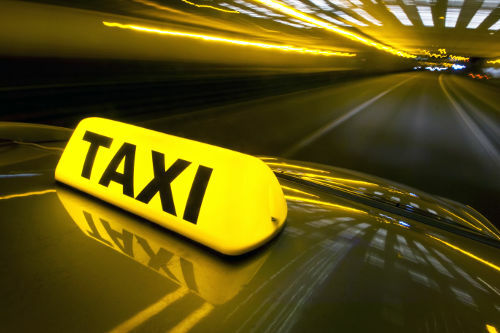 Here are a few tips you can take on board when searching for cheaper taxi insurance. As you will know, the type of car you use as a taxi can significantly influence the cost of your insurance. Insurers calculate the costs of your insurance by working out the risks presented by each type of car. For example, cars with powerful engines that have a history of being in accidents will cost a lot more to insure than smaller-engine cars. Therefore, if you drive a car that has less risk of being in an accident you will pay less to insure it. Although it may be unavoidable in certain circumstances (you may be assigned a particular make and model depending on the firm you work for), it pays in the long run to have a car that is less expensive and less powerful. Drivers with clean records will pay less for their insurance. Obviously, a clean driving record proves that you are a safe driver and unlikely to influence an accident through your driving skill. Anything from points for speeding, driving under the influence of drink or drugs, or any type of criminal conviction will have a huge impact on the price you pay for your taxi insurance. Similarly, your age will influence the price of your premium. Those under the age of 25 will find it a lot harder to get cheap taxi insurance than other age groups. Unfortunately, the statistics show that people under 25 get into a great many more accidents and therefore present greater risk on the road. These risks are compounded further by the fact that taxi drivers are on the road a lot more than standard motorists. Nowadays, there is technology that can be put in place to prove to your insurance company that you are driving safely, thereby presenting less risk. You can put a black box tracker in your car which can record information about the state of your driving, including speed, braking distance, and how quickly you take turns. All this information presents a clear picture of your driving ability to your broker, giving them the opportunity to revise the cost if your taxi insurance premium to go in line with your risk. Your excess refers to the amount you would have to pay out in the event of a claim. If you increase your excess then you will more than likely pay a less expensive premium, however this could end up costing you quite a lot if you do get into a situation where you need to make a claim. It might be worth looking into this, however it pays to be mindful. If you work for a company and drive the same vehicle every single day, it might well be worth getting named driver cover as part of your overall taxi insurance policy. If drivers are named, then the insurance companies have a very clear view of the risks of each driver and each car. This is particularly useful if you have a good amount of no claims bonus as it means the savings can be passed back along to yourself. Electric vehicles are becoming more and more popular with drivers across the world. They can benefit both the environment but also your pockets! They are generally cheaper to repair than other cars with standard fuel, they actually cost less to insure. Although they are not as widely-used as they may be over the coming years, it could be a good idea to get ahead of the game and start driving electric. What was once human fantasy may soon become the norm. Self-driving cars are becoming increasingly common to see on the roads nowadays. 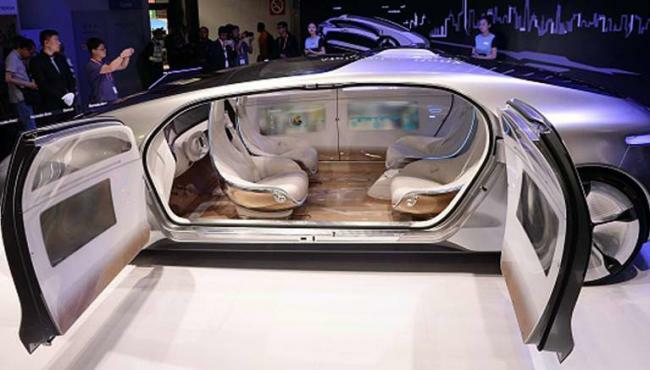 And as they hit the streets in growing numbers, one company is making efforts to ensure driverless vehicles do so in style and with as less trouble as possible. A Cleantechnica piece claims that Apple’s self-driving car project is still in the works. The California-based company is said to have brought more people on the self-driving car project, including a Waymo engineer, Jaime Waydo. Apple also hired another notable personality in the person of John Gianandrea, a former Google executive and AI expert. The emergence of Tesla, Waymo, Uber and Google’s ambition to push the limits of innovation to deliver maximum comfort for passengers has led to breakthroughs in the quest for self-driving cars. Recent events suggest Apple hopes to join the train by manufacturing a driverless vehicle of its own. Considering it’s a big rich company with a vast amount of resources and influence, there’s little to suggest that Apple’s Project Titan will be anything other than a success. The organization has all it takes to lay its hands on the right technology and attract the best brains to help speed up the project. It is not yet clear what form Apple’s self-driving car initiative would take. For now, however, it appears that the company’s autonomous driving team will concentrate their efforts on building self-driving employee shuttles in collaboration with Volkswagen, according to The Verge. The tech giant settled for Volkswagen after talks regarding partnerships with Mercedes-Benz and BMW ended, per New York Times. It would be recalled that Apple obtained permits to test self-driving vehicles in California in furtherance of its driverless car ambition sometime in 2017. The Drive reported that the company’s fleet of self-driving cars registered with the California Department of Motor Vehicles has grown to 55 cars. This makes Apple the company with the second largest fleet of autonomous vehicles in California after General Motor’s Cruise. It may not be there yet, but Apple seems to be making continued progress with its self-driving car project. Regardless of whether you live in the UK, the US or anywhere else in the world, there is no avoiding the fact there the number of accidents occurring on the road are indeed on the rise. In the US, it was calculated that around 40,000 people lost their lives on the roads last year in 2017 with as much as a 6% increase in fatalities compared to 2016. A similar situation was occurring in the UK, with a small yet concerning increase in the amount of traffic accidents. Officials have reported that 2016 may have been the deadliest year for US and UK drivers. While there are no factors that can be blamed for being directly responsible for the increase in accidents and injuries, there are a number of contributing factors that have been considered. While many roads are in the best shape they have been in in years, that is not to say that they are perfectly maintained, with drivers constantly reporting pot holes and other problems that are proving to be hazardous to the health and safety of drivers. This, alongside the drastic weather seen last year, is also part of the problem when it comes to the number of road traffic accidents in the US being on the increase. Government funding is something that will play a significant role in whether the conditions of America’s roads will be safe enough to drive on. 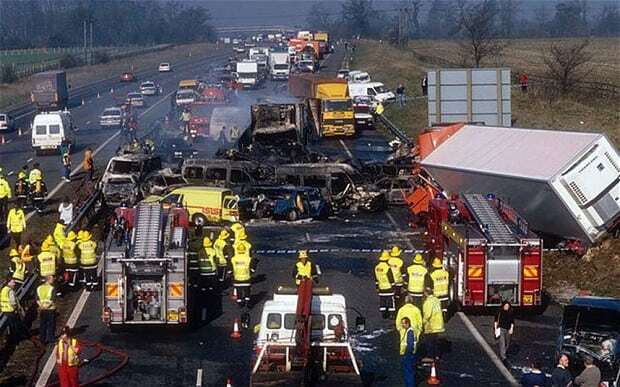 One of the other reasons why there is an increase in the number of road traffic accidents in the UK is because the number of people in the UK is on the rise, causing the UK roads to get busier and busier. This not only creates more traffic and congestion but also increases the likelihood that more accidents happen as a result. It has been speculated that the number of accidents on the road still remain high is because of distractions like phones and satellite navigation systems that we use whilst driving and already there has been talk of tougher measures being put into place to combat this issue. New technology has also been introduced to encourage people to use their phones less when driving, which could help to reduce the number of phone related traffic accidents in the future. The policy and research director of the Institute of Advanced Motorists has stated that he believes the reason why there are so many accidents still in the UK is because of the drink drive limit being higher than it should be. For example, Scotland reduced their drink drive limit from 80mg per 100ml of blood to 50mg. Small steps like this could work towards reducing the number of traffic accidents as it will deter drivers from having one drink to not drinking at all. If you have been injured by another driver’s negligence, regardless of whether you were driving the car or a passenger, you could be entitled to compensation. By simply filling out a road traffic claim with the Accident Advice Helpline you could find yourself getting the compensation that you deserve. The money that you receive as a result of putting in your claim could go a long way in ensuring that your medical costs and other expenses as a result of the injuries you suffered are accounted for. We live in a world where cars are an important mode of transportation for many. A great majority of individuals own cars but most of them would rather take a cab than drive in our ever-busy roads. So, if you love driving, you could really make some good money being a rideshare driver for celebrated companies like Uber and Lyft. Uber and Lyft are quickly gaining popularity and people are no longer interested in the traditional taxi companies. This is because Uber and Lyft are giving customers excellent services at affordable rates. In addition to this, customers these days are sure that no matter what time of day or night, they can grab an Uber in a matter of minutes. It’s clear as day that customers across the globe are happy and satisfied with the services they get from Uber and Lyft. So, let’s turn the page and focus on the drivers who make these journeys a success. 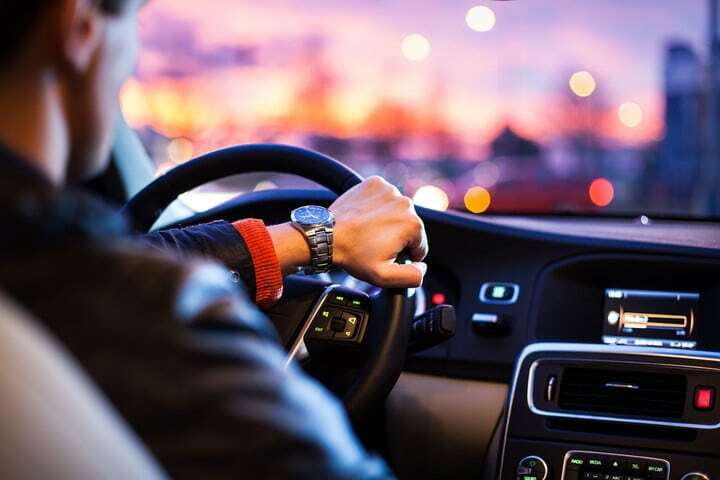 Most people are asking for tips on HOW TO BECOME A RIDESHARE DRIVER .Well, here are a few basic requirements that you need to fulfill for you to be a rideshare driver. Pass a driver’s test – This goes without saying; for you to be a rideshare driver, you must be a licensed driver. One of the most important things that will give you a good start will be a valid driving license. In addition to this, for you to become a Lyft or Uber driver, you must be at least 21 years of age and have a clean record. The two companies are well respected across the globe; so if you have any cases of traffic rules violation like a DUI, or other criminal offences, you might not pass your driver’s test. Make sure the condition of your car is good – There are certain specifications that a rideshare car should meet. For example, your car should have 4 perfectly working doors, clean and functional seatbelts, windows that are easy to roll up and down and a working A/C. All the car lights, the engine, the body, the horns, you name it… they should all be in perfect condition. And mind you these are just but a few of the requirements; so take time to research on the issue and make sure that your car meets the set standards. Send in an application for the job –It is easy to apply for a job as a Lyft or Uber driver. Just download the app on your smartphone. Fill in all the required information including your full name, physical address, email address, the city you are living in and your phone contacts. Using your information, the company will run a background check on you and if you are fit for the job, then you will be called in for a welcome ride. It’s simple as that. Before you know it, you will be cruising around the city and making money. It appears that transportation would soon look different after Tesla revealed its intention to enable full self-driving features in August. The move is part of the company’s long-term plans to make autonomous vehicles an essential part of the transport network. This, it believes will increase safety and reduce automotive fatalities, as the human element is eliminated. Tesla chief executive, Elon Musk disclosed that the company would enable full self-driving features on all-electric cars to help the system understand lane merging and travel even further. Mr. Musk said that the latest update would be rolled out as part of the long-awaited Tesla Version Nine. Until now, Tesla’s software releases were entirely focused on maximizing efficiency by conveying people or items to their destinations in the safest way possible. The new software is quite a change from that order, as it prioritizes full-driving features. Tesla maintains that the full self-driving functionality will help ensure “substantially greater” safety than a human driver. That is because unlike human drivers, computers won’t get distracted, fatigued, or drunk. An article on the website of The Center for Internet and Society at Stanford Law School revealed that human error is a significant contributor to around 94 percent of motor vehicle crashes. In line with this, Tesla hopes that the yet-to-be-released software will help to overcome these challenges. Should the update roll out as planned, it will significantly boost the company’s efforts to make self-driving vehicles a reality. Tesla’s self-driving system can conduct both short and long distance trips without the input of the individual in the driver’s seat. All the person in the driver’s seat has to do is give the vehicle an address and off they go. If the driver doesn’t instruct the car on where to go, the car will look at their calendar and convey them there. In instances where there is nothing on the schedule, the car will assume home as the default destination and take them there. The impact of Tesla’s innovation will extend beyond self-driving features and safety, as tweets from Mr. Musk indicate that the Tesla Roadster – the organization’s most expensive electric vehicle yet – would be fitted with an improved top speed that should see it eclipse gas cars regarding performance. The company’s CEO hinted that the Roadster could go from 0 to 60 mph in just 1.9 seconds, which should see it become the quickest production car in the world. Elon Musk, it seems, never misses an opportunity to do something beautiful. Wall-Street and Silicon-Valley have not been bed-fellows that are happy and which was on complete display this week during Tesla’s every three months earnings call. These calls are usually dull affairs, with CEOs or CFOs reading a prepared script summarizing the already-released economic results and articulating the main goals of this company that have, presumably, been stated before. Then Wall Street experts ask a few questions about the outcomes, strategies, and strategy that executives artfully dodge or clearly answer. Just like press conferences, the format doesn’t lend itself to spontaneity. Except whenever company is Tesla as well as the Chief Executive Officer is Elon Musk. The press following this week’s call was intensely critical of Musk for dismissing questions, refusing to look into financial details, and musing about robo-Ubers and autonomous trucks that are electric into rail transportation. More than most, the call exposed the starkly different viewpoints of Wall Street therefore the valley. Musk obviously is avoiding some hard questions regarding Tesla’s monetary viability. But it’s similarly true that the phone call uncovered how limited Wall Street can be about visions money for hard times and the required steps to make new templates for doing old things. Musk just isn’t your typical Chief Executive Officer, needless to say, with his several interlacing organizations and also his ability so far to convince investors to get along for a ride that promises the moon or perhaps Mars in the case of their SpaceX and delivers no earnings while accepting a large amount of debt. But even by those standards, his refusal to answer basic questions about, state, how much cash Tesla is burning through and also whether or not the company has an agenda to continue subsidizing and also capitalizing their expenses struck Wall Street as odd and an indicator of deep problems. Exactly what caused this call-peculiar the way Musk-dismiss sober-question was by highly regarded Wall-Street-analysts for example Toni-Sacconaghi-of -Bernstein, who pushed Musk concerning costs and also cash. Musk brushed him off, sniping that bone-head, boring questions aren’t cool. Added to the insult and injury, Musk now field another questions from the YouTube-user, who go on to control a call typically open and also only major Wall-Street. 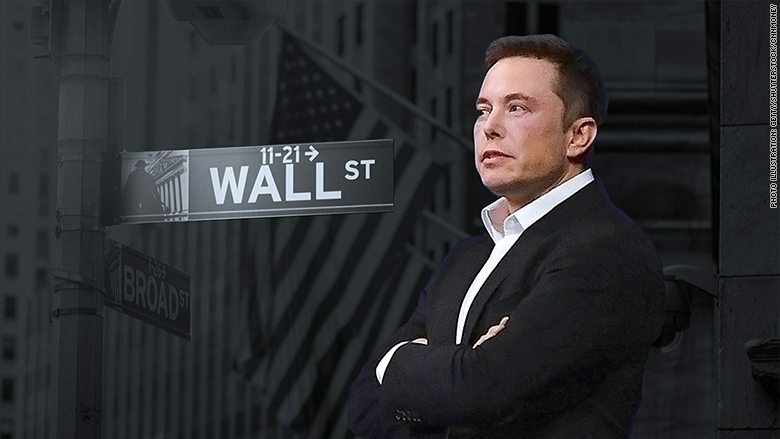 That failed to stay well with the entire Street, and Sacconaghi-lambasted-Musk the overnight on CNBC aided by the instead clever jab, This is a financial analyst call, this will be not a TED talk Friday, Musk returned fire, with tweets asserting that the concern had been boneheaded as the analyst already knew the answer and was asking purely to recommend a thesis that is negative the company. Musk’s controversy with experts recalls the same tensions between Wall Street experts and Jeff Bezos of Amazon, Reed Hastings of Netflix, Mark Zuckerberg of Facebook and other arrogant, aggressive, and visionary technology CEOs. The experts consistently press for metrics revenue that is including profit margins, cash burn, and profits projections. The Chief Executive Officer routinely tries to stress growth, users, experience, as well as long-term vision. The experts press on expenses, competitors, cost of money; the Chief Executive Officer dodge and weave and point to approach, new models, breaking old molds, and creating new marketplaces. as well as the dance goes. You’re probably familiar with the many ways technology is changing how you drive – whether it’s driver assist technology helping you make decisions behind the wheel, built-in cameras giving you a 360-degree view of the road, or energy-efficient advances helping you spend less on gas. But new technology isn’t just changing the way you drive, it’s also changing the way you’re insured. Read on to learn about three advances in technology that are revolutionizing the auto insurance industry. One insurer reports that 70 percent of drivers with this type of plan earn some kind of discount. A study by the University of British Columbia showed that real-time driving feedback resulted in better habits for most participants. Something to also be mindful of is that insurance companies are not allowed to use the information they collect to raise your premiums or deny you coverage – only a discount. Thanks to the internet, shopping for insurance is easier than ever. There are many sites online that will allow you to quickly compare multiple quotes from insurers so that you can find the best – and most affordable – plan. When it comes to servicing clients online, one company that is leveraging machine learning to raise the game is Kanetix Ltd.
Machine learning refers to a type of artificial intelligence in which computers are programmed to “learn” by themselves as they are exposed to more data and new experiences. In this case, Canadian firm Kanetix Ltd. partnered with Integrate.ai to offer customized buying experiences to their users. Leveraging their website’s deep pool of data, they were able to predict a customer’s likeliness to purchase insurance – and tailor the next steps of their buying experience based on the information. The result? A win-win scenario for Kanetix, which saw an increase in lead generation and marketing ROI, and their customers, who benefited from an improved online experience. 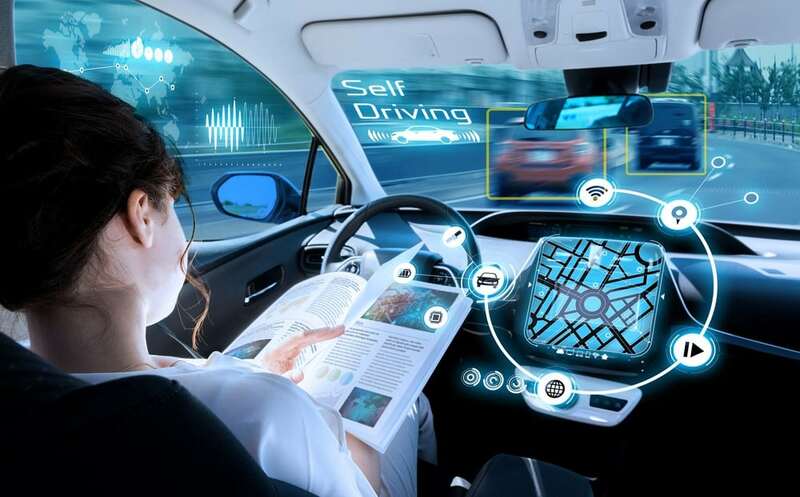 Experts have predicted that self-driving cars could save Canadians $65 billion a year in reduced fuel costs, fewer collisions and decreased congestion, making autonomous driving technology an exciting trend. Even self-driving cars, though, will require human co-drivers who are paying full attention, otherwise, they’ll still be susceptible to collisions – like in this case where a Tesla Model S that was in autopilot mode caused a fatal highway accident. So what does this mean for the auto insurance industry? Insurers will need to have policies in place to determine who is liable for an accident that involves an autonomous vehicle: the maker of the vehicle or the human driver. U.K. lawmakers have proposed a vehicle technology bill that suggests the manufacturer of a self-driving car could be liable in some instances, rather than the ‘driver.’ Under the bill, insurance companies would need to offer two types of insurance for autonomous cars: one to account for when the car is operating on its own, and one to provide coverage when the driver takes over. 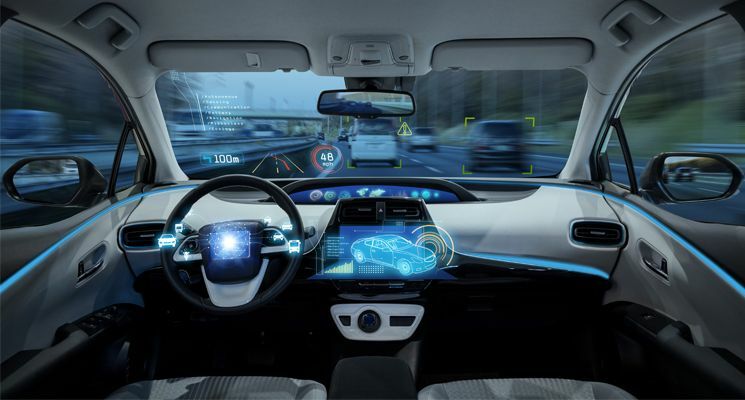 For the most part, these trends are just emerging, so it’s impossible to say for certain what the car insurance industry will look like as technology advances. It’s safe to say, that as we change the way we drive, there will be many new opportunities and challenges for insurers in the future.